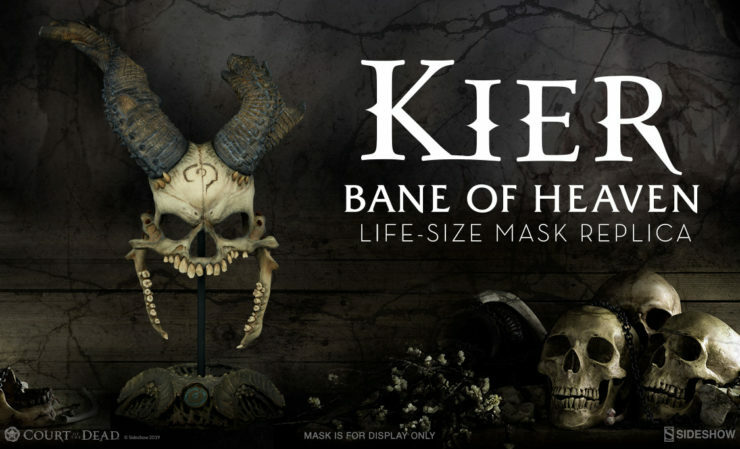 The Kier: Bane of Heaven Mask Life-Size Replica from Court of the Dead© will launch for Pre-Order on Thursday, April 11, 2019 between Noon – 3PM (Pacific Time). Faithful mourners, rejoice! 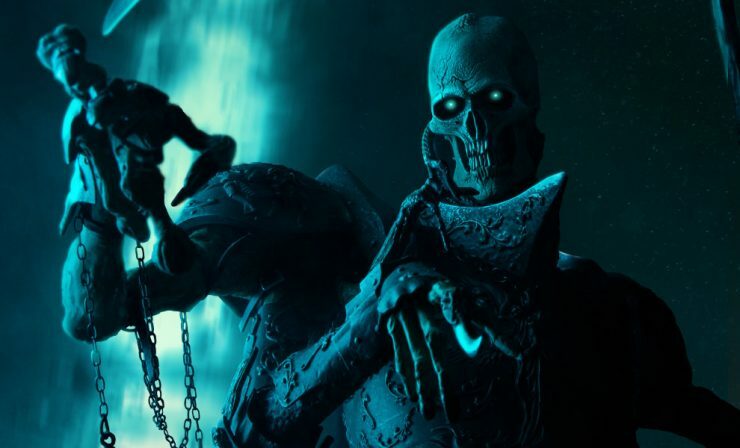 New production photos and an unboxing assembly video for the Kier: Death’s Warbringer Premium Format™ Figure have arrived from the Underworld to join your Court of the Dead collection. 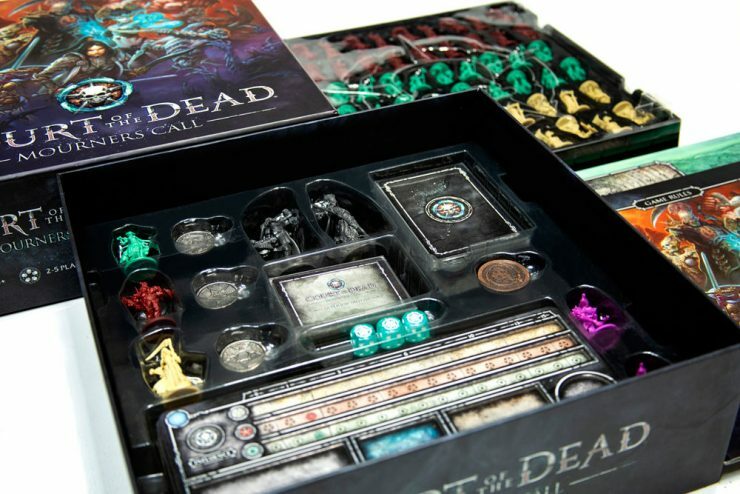 Project Raygun has provided some behind-the-scenes updates on production work behind the Court of the Dead: Mourners Call game- including improvements to the miniatures, game trays, and more. 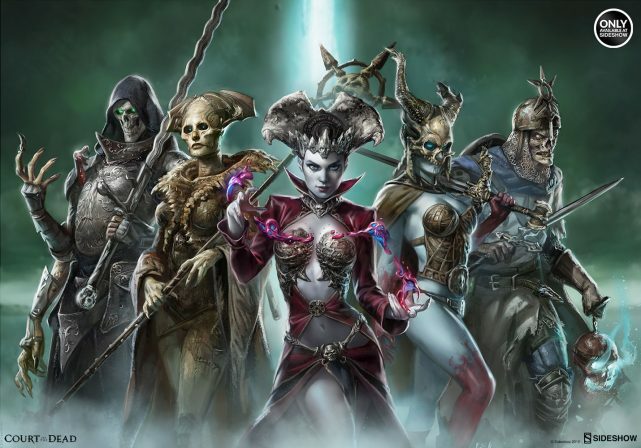 Read the full story on courtofthedead.com! 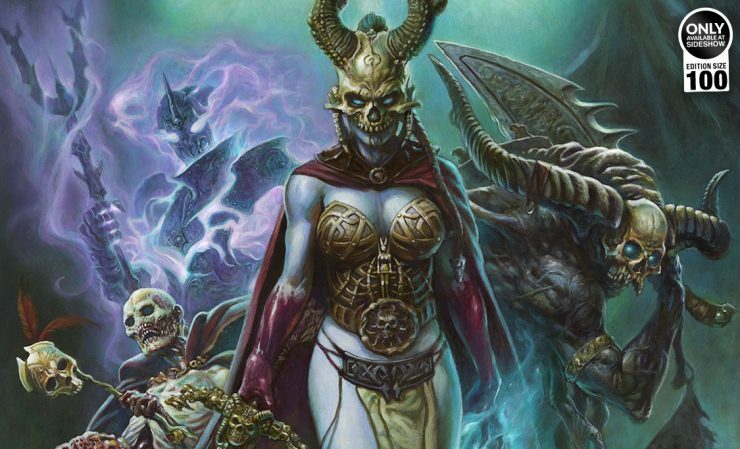 Surround yourself with true Spirit and add the Transcendence of Spirit Fine Art Print by Alex Horley to your crypt of Court of the Dead collectibles! Pre-orders for this ethereal art collectible begin on Friday, August 10th. Witness the strength and support of the Underworld in the new Pillars of Rebellion Fine Art Print by Ian MacDonald. This new Court of the Dead fine art collectible will make a excellent new addition to any crypt of Court curios! Poll- What is Your Most Anticipated New Reveal from Online Comic-Con? We want to know- with Preview Night at SDCC just a few hours away, what new Online Comic-Con reveal are you most excited to see? Don’t forget to tune back in for the Sideshow Comic-Con Booth Tour! 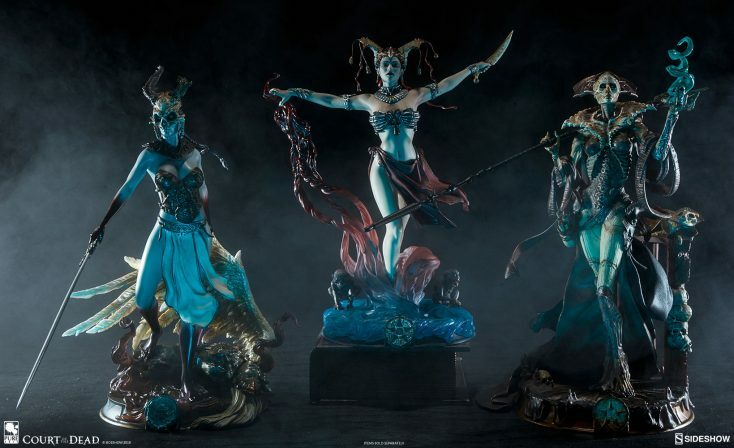 Show where your Underworld loyalties lie with the new Court of the Dead Prestige Statuettes! 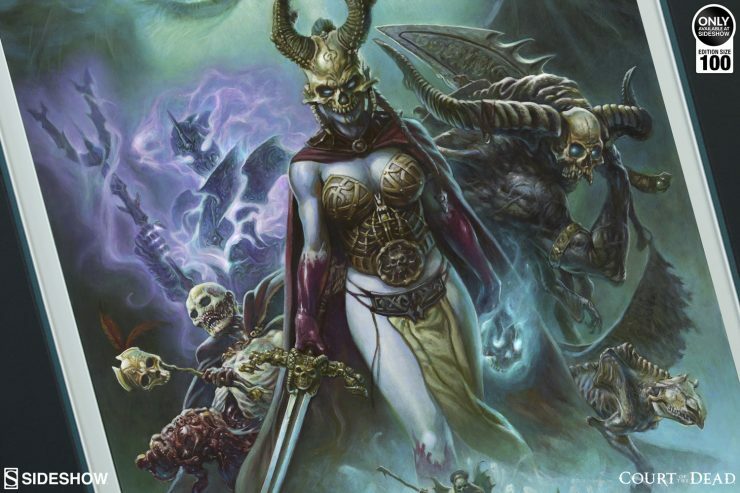 Pre-orders for the Gethsemoni: The Queen’s Conjuring, Xiall: Osteomancer’s Vision, and Kier: Valkyrie’s Revenge Figures will begin on Wednesday, July 18th. Sideshow’s Online Comic-Con 2018- Week 2 Wrap Up! Week 2 of Online Comic-Con is drawing to a close, and San Diego is getting closer! Check out our weekly recap to make sure you didn’t miss any of the excitement. Online Comic-Con runs from July 1st-22nd.